Racial Disparities in Manatee and Sarasota, African American poverty, unemployment, education, and health. In November or 2015, SCOPE presented data about racial disparities in Sarasota and Manatee Counties to the Masala Giving Circle. 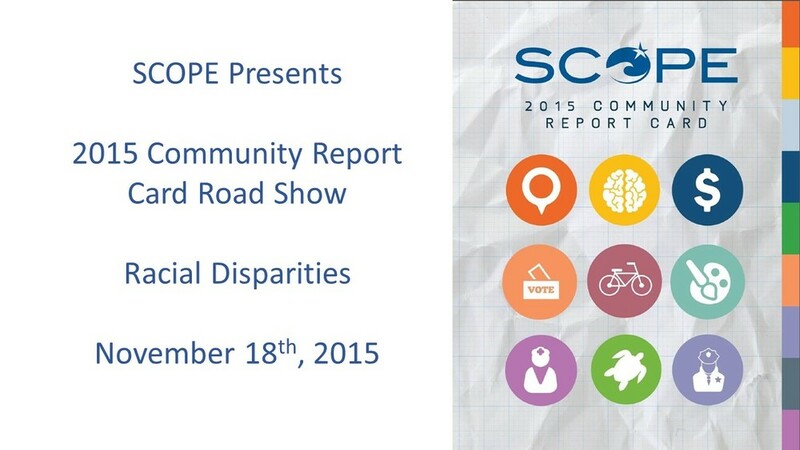 Interested in a SCOPE presentation on community data for your organization?